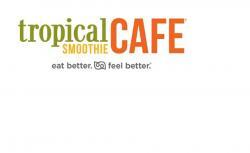 PLEASE VERIFY THIS JOB IS CLOSE ENOUGH FOR YOU BEFORE APPLYING 1808 Sam Rittenberg Blvd Charleston, SC 29407 Become part of Tropical Smoothie Cafe's vibrant organization that inspires a healthy lifestyle by serving amazing food and smoothies with a bit of Tropical Fun! Grab hold of our powerful positive energy with a Tropical Smoothie Cafe's read-to-take-off career that is fun, fulfilling and rewarding! If you like to have fun, enjoy meeting new people and have a creative spirit, then working at Tropical Smoothie Cafe may be right for you. Besides learning our business and pleasing people with our amazing food and smoothies, you'll learn a whole new set of business skills to take with you through life. Become part of our past and our future! Tropical Smoothie Cafe was built on a strong sense of giving back to our community and an outstanding commitment to the personal growth of our people. If you enjoy being part of something special in a strong cultural and spirited environment then bring your energy and come grow with us! QUALIFICATION Be Enthusiastic, we can teach you the rest Must be Hardworking, have integrity and be Smart Must enjoy and be able to succeed in a fast-paced work environment Ability to work a flexible schedule based on restaurant needs Must be available on Weekends JOB BENEFITS Discounted Meals In-House Training and Development Advancement Opportunities Low-Stress Work Environment ABSOLUTELY NO FRYERS! APPLY NOW! Don't let this opportunity pass you by. PLEASE VERIFY THIS JOB IS CLOSE ENOUGH FOR YOU BEFORE APPLYING 186 Seven Farms Drive Charleston, SC 29492 Become part of Tropical Smoothie Cafe's vibrant organization that inspires a healthy lifestyle by serving amazing food and smoothies with a bit of Tropical Fun! Grab hold of our powerful positive energy with a Tropical Smoothie Cafe's read-to-take-off career that is fun, fulfilling and rewarding! If you like to have fun, enjoy meeting new people and have a creative spirit, then working at Tropical Smoothie Cafe may be right for you. Besides learning our business and pleasing people with our amazing food and smoothies, you'll learn a whole new set of business skills to take with you through life. Become part of our past and our future! Tropical Smoothie Cafe was built on a strong sense of giving back to our community and an outstanding commitment to the personal growth of our people. If you enjoy being part of something special in a strong cultural and spirited environment then bring your energy and come grow with us! QUALIFICATION Be Enthusiastic, we can teach you the rest Must be Hardworking, have integrity and be Smart Must enjoy and be able to succeed in a fast-paced work environment Ability to work a flexible schedule based on restaurant needs Must be available on Weekends JOB BENEFITS Discounted Meals In-House Training and Development Advancement Opportunities Competitive Pay Low Stress Work Environment ABSOLUTELY NO FRYERS!! APPLY NOW! Don't let this opportunity pass you by. We are looking for an individual that is mechanically inclined, knowledgeable and willing to learn. At least 3-5 years of mechanical experience preferred. Position Type: Full Time Work days: 7:00AM-3:30 pm Monday-Friday. Sometimes until later on weekdays. Saturday’s depending on weekly workload. Skills needed: Punctual. *ZERO tolerance for tardiness. * Efficient Organized Ability to multitask Email etiquette is a strong point Job entailment: Possess ability to fix and repair equipment when needed, particularly gas and diesel engines Example: General forklift repairs, mixer motor repairs, leaks, busted hoses, engine repair etc. Prioritize maintenance & repairs for broken down yard and job site equipment. Utilize cost effective methods to order parts needed for repairs. Communicate lead time for arrival of ordered parts. Keep a record/log book of equipment repairs (with solution utilized for repair) for 15+ ongoing jobs. Report daily to the Yard Manager. Benefits: Full-time, permanent employment 401K benefits Health insurance Please send resume, preferably with 1 reference. Experienced Class-A CDL driver needed. 90% of deliveries and pick ups are in a 25-35 mile radius, excluding a few that are 60 miles max one way. At least 5 months of experience preferred. Position Type: Full Time Work days: 7:00AM-3:30 pm Monday-Friday . Sometimes until later on weekdays. Saturday’s depending on weekly workload. Benefits: Full-time, permanent employment 1 week (40hrs) Paid Vacation After 6 months 401K benefits Health insurance Skills needed: Punctual. *Zero tolerance for tardiness. Ability to drive Manual and Automatic transmission Ability to communicate effectively with dispatcher & receiving/delivery point of contacts. Knowledgeable about truck and load capacity. Driver assist - Ability to load and unload your truck when needed on a working jobsite. Forklift training available Please send resume, preferably with 1 reference. A full-time position providing screening, engagement, information, and referral services for Veterans and their families in the Supportive Services for Veteran Families Program (SSVF). Conducts initial eligibility screening via phone and email. Provides information and referral for mental health, substance abuse, housing, legal, and other social service needs for eligible and ineligible participants. Provides optimal customer service as the first point of contact for veterans and their families. Creates, maintains, and updates a catalog of community resources. Documents service delivery accurately and timely in the electronic health record. Ensures and maintains participant’s confidentiality. Participates in all appropriate employee, supervision, and training meetings. Collaborates with the entire SSVF team to ensure quality service delivery. Assumes other duties as assigned by the Program Coordinator, SSVF Director, or Senior Management. Qualifications: Bachelor’s Degree in Social Work, Psychology, or Social Sciences Must be 21 years of age or older. 1 year of human service experience. Call center or hotline experience preferred. VEVRAA Federal Contractor. Request Priority Protected Veteran Referral. EOE Minorities/Females/Protected Veterans/Disabled Contact. Providing residential support services to veterans in the program. Positions available in Garfield, and Lyons, NJ Provides supportive counseling to veterans in need of crisis intervention and emergency services. Monitors veterans in housekeeping maintenance and upkeep of the residence. Provides transportation as required. Participates as a team member in the maintenance and care of the facility and ensures safety of the veterans in the program. Upholds veteran confidentiality. Assists in the administration of drug and alcohol screenings. Documents service delivery and maintains accurate and timely clinical documentation. Implements fire and life safety standards eg: fire drills and fire safety education Attends In-Service presentations/staff meetings on a quarterly basis. Distributes veteran mail as needed. Executes all emergency procedures such as medical emergencies, crisis intervention, fire and/or smoke, police emergency, AED/ First Aid, etc. as per the Agency’s Policy and Procedure Manual. Documents any and all pertinent information in and reviews the Communication Log Book, Resident Sign-In Log, Medication Sign-In Log, Pass Authorization Log, and reporting any violations to the Program Coordinator. E-mails every hour during the overnight shift to the agency overnight system. Participates in supervision meetings with the Program Coordinator. Conducts regular checks to ensure the safety and whereabouts of all veterans in the residence. Assumes other duties as assigned by the Program Coordinator, and/or other supervisors. Qualifications: Bachelor’s degree from an accredited school in Mental Health or a related discipline; or Licensed R.N. ; or two years of college plus two years of related work or life experience, or licensed as a Practical Nurse (LPN) plus two years of related mental health experience; or a High School diploma and four years of related mental health experience. Must possess a valid driver’s license, with a good driving record. Must have knowledge of clinical issues, skill in program development, be well organized, a self-started, and able to work as a member of a team. VEVRAA Federal Contractor. Request Priority Protected Veteran Referral. EOE Minorities/Females/Protected Veterans/Disabled Contact.